A Little Bit etc. 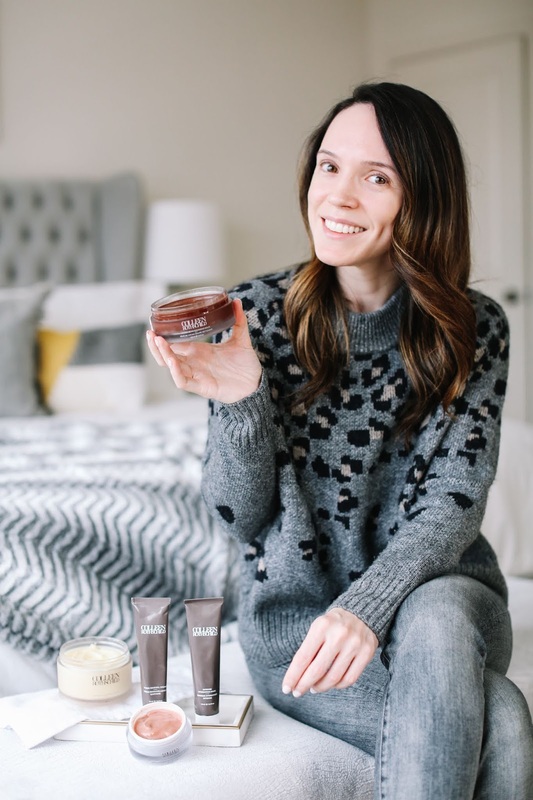 : New Launches From Colleen Rothschild and Some of My Old Favorites + Discount Code! New Launches From Colleen Rothschild and Some of My Old Favorites + Discount Code! There is so much goodness in today's post! From new launches to a huge promotion, Colleen Rothschild skincare lovers are in for a treat today. And if you are new to her line, I cannot wait to convert you. Ha! I have been using Colleen Rothschild skincare for quite a few years and it's one of the most consistent skincare ranges I've ever used. No matter what I try from the line, my skin always responds well and when I go back to old favorites they never fail to give me amazing results. This cleanser initially got me hooked, but since then I have a few holy grail favorites from the line that I can't be without (this daytime moisturizer being one of them). 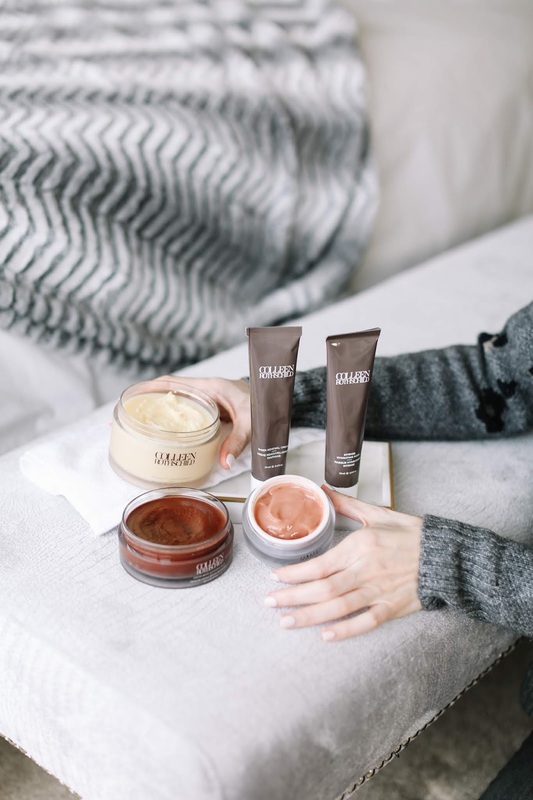 A new cleansing balm was just added to the line and I also discovered two masks that were instant hits. I'm reviewing all three of these products in today's post along with two of my must have products from the line that I recommend to everyone. And the best news??!! There is a Customer Appreciation Sale happening on her site right now that gives $50 off every $150 spent with code: CAS50. Today is the last day to take advantage of this offer so happy shopping! Shop the promotion here. 1. 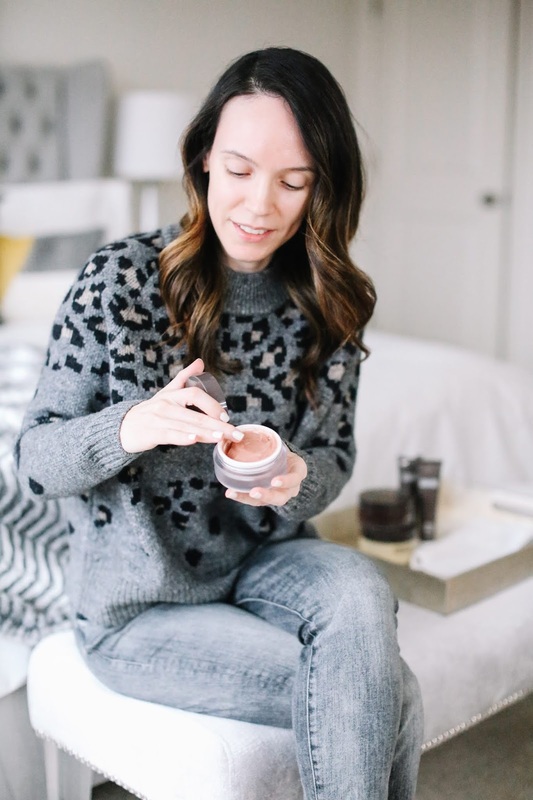 Cocoa Bean Cleansing Balm - I could not wait to open this cleanser and get it on my face! I have been in love with the Radiant Cleansing Balm for years so I knew this new one would not disappoint. From the first whiff of the glorious chocolate/nutty scent to the smooth buttery texture, everything about this cleanser is an experience for the senses. 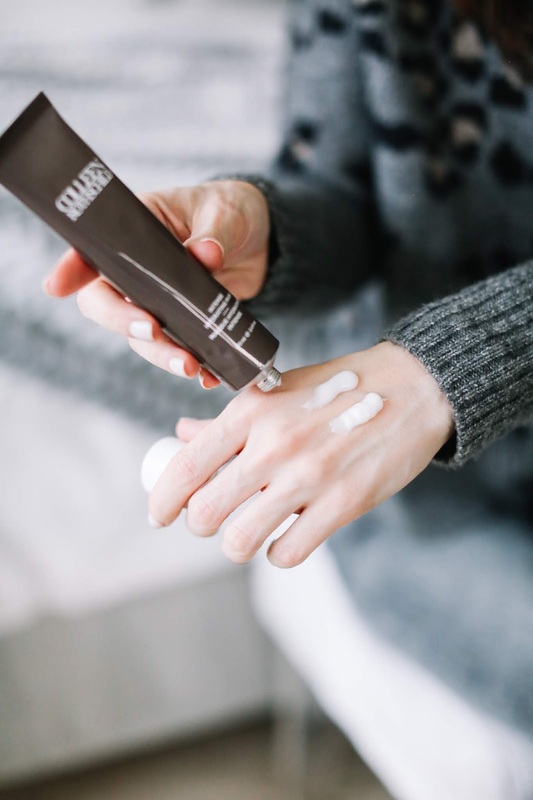 While it does a stellar job removing makeup, I personally love it as a second cleanse because I leave it on my damp skin for a minute or two and allow the cocoa butter and hazelnut oil to give my skin intense nourishment. There are also little bits of vanilla beans throughout the formula that give a gentle exfoliation to help decongest the skin. Hydration with a bit of exfoliation (that smells like chocolate), this cleanser is heaven in a jar! 2. Pomegranate & AHA Resurfacing Mask - Start with this Resurfacing Mask and follow it up with the Intense Hydrating Mask and your skin will look like you have been at the spa all day. It does tingle a slight bit when applied as the AHAs and fruit enzymes begin to work their magic helping to exfoliate and remove dead skin. I like to leave it on for 10 minutes and wipe off with a damp cloth. The formula also contains aloe leaf extract that helps to calm and soothe the skin so it never gets irritated or flaky. Afterwards, my skin feels smooth and freshly exfoliated but also incredibly hydrated. It's a great mask to use before a big event because it really makes the skin glow! 3. Intense Hydrating Mask - The name of this mask says it all. Intensely hydrating - and it is! Any bit of dehydration my skin was struggling with is no longer an issue after leaving this mask on for 10 minutes. My skin looks plump and radiant after receiving so much moisture. I prefer to use it as a treatment for 10-15 minutes to give my skin an instant boost, but it's lightweight enough to leave on the skin overnight. This is one product that would be great for any skin type and all age ranges. 4. Radiant Cleansing Balm - This is the cleanser that started my love affair with the entire brand. I have gone through countless jars of it because it never lets me down. The formula is creamy and smooth yet not overly greasy or oily. It removes makeup easily and leaves my skin feeling fresh and moisturized. This is one of the most consistent performing products in my entire skincare closet! 5. 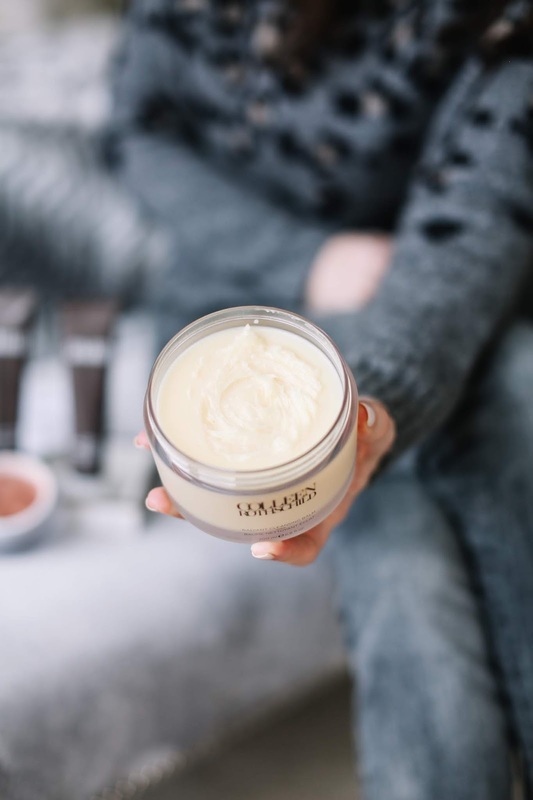 Sheer Renewal Cream - In addition to the Radiant Cleansing Balm, the Sheer Renewal Cream is an absolute must have in my morning routine. It's an oil-free formula that feels creamy and lightweight, keeps the skin hydrated all day with additional ingredients to help gently exfoliate and stimulate new cell turnover. My favorite feature of this cream is how beautifully it wears under makeup. It calms my skin immediately so any redness is diminished and my skin is left with a natural finish. The promotion ends today so this is the perfect time to try something new or replenish old favorites. In addition to the products I mentioned in today's post, I rounded up the rest of my favorites in the widget below. Thanks to Colleen Rothschild for sponsoring today's post. I'm thrilled to partner with a brand that I regularly use and love! They are! I love her line!